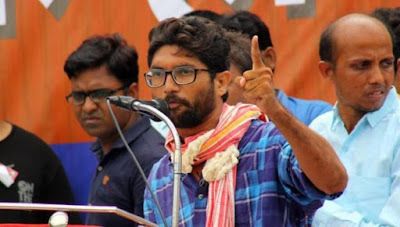 In what is being described as a bold and unprecedented move, top Gujarat Dalit rights leader Jignesh Mevani has publicly apologized for using choicest abuses in conservation on phone. The person on the other side, who is said to be living in Kalol, is said to have taped Mevani’s voice and floated the audio recording on a Dalit WhatsApp group and Facebook. The Freedom March ran into controversy soon after it was announced. Balubhai Sarvaiya, father of the four youths who were attacked a year ago in Una, said that he might not be able to attend Mevani’s rally because of personal reasons. 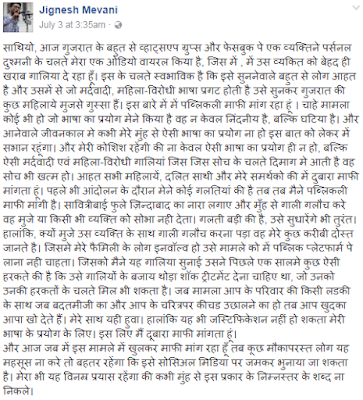 Earlier, he has variously accused Mevani of never visiting his house in village Mota Samadhiyala near Una. 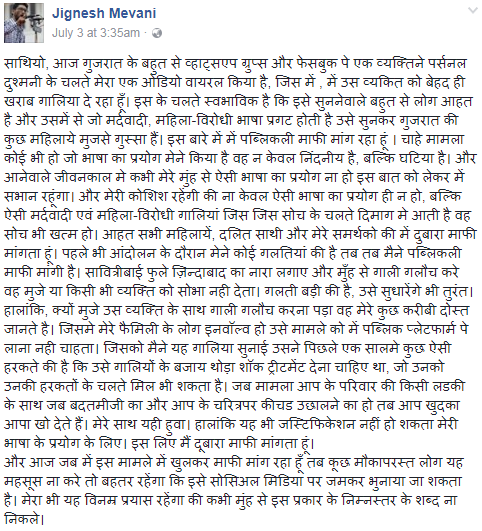 Soon after the audio went viral (Counterview was not forwarded the recording), a well-known Dalit women’s rights activist, Leena Patel, was among the first ones to criticize it as reflecting Mevani’s “male chauvinistic mindset”, wondering whether a person who thinks this way would ever fight for women’s liberation.